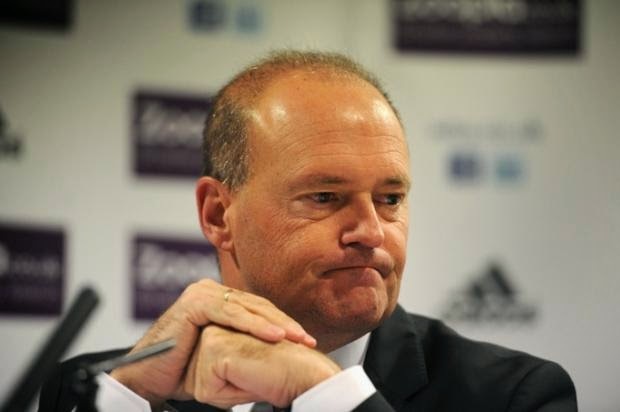 For the last month or so there has been a bit of speculation surrounding Pepe Mel's future as Head Coach at West Bromwich Albion. Obviously pressure mounts when a team is struggling at the wrong end of the table and the future of a Coach is on the line if he fails to achieve the sole objective of staying in the league. However even after a couple of wins and a series of creditable draws which have gone a long way to securing the club's Premier League status uncertainty seems to surround his future. The latest round of speculation was sparked by Mel's own comment about being uncertain as to whether or not he will be here next year. There have been reports of behind the scenes strife and a players rebellion. Dave McDonough Albion's Head of Recruitment was dismissed (sorry left the club by mutual agreement) and he was instrumental in Mel's appointment. McDonough is now seen as the villain behind much of what has gone wrong at the club this year, whether this clouds the Albion's hierarchy view of the Mel appointment I don't know, but at no point has the club moved to stem the tide of speculation particularly ahead of the Swansea game. I do not have any particular insight as to the inner workings at the Hawthorns but the mood music is not great. Despite the background of near constant crisis Mel has remained positive, engaging and has struck a cord with the fans in a way that no Albion coach has since Tony Mowbray. It is plain that he has a philosophy of attacking football played to feet, which is something that the Albion supporters are looking for after a series of progressively more "pragmatic" coaches has reduced the team to a counter attacking long ball operation grinding out enough results to stay in the league. The board has a stark choice either back Mel or sack him. Backing him entails giving him license to break up a squad of players who have grown complacent and bring in players that fit his tactical blueprint. It will cost money in fees and wages but the books can be balanced with a little bit of player trading. If they do not want to go down this route or are only half hearted about it then sacking Mel is the only sensible alternative. Install a Clarke mark II coach who will revert to the tactics of the slow retreat, take no risks and be rewarded with a glorious 14th place finish in the Premier League until one season things go a little awry and hello Championship. There are consequences of sacking Mel that the club need to consider. Firstly it sends a terrible message to an under performing dressing room. Secondly it runs the risk of further alienating the clubs fan base which has taken to Mel. Neither of which will make a successors task any easier nor indeed make the club a more appealing prospect to potential Head Coaches. I firmly believe backing Mel is the only sensible alternative. Yes it is a risk but one that the club has to take for it's long term health. We have a choice of dying on our feet or dying on our knees the outcome might be the same but the former has some pride to it whereas the other carries a burden of shame and a lingering sense of what might have been.